Sidewalks set the tone and feel of the entryway to your home. The materials used, design, and layout begin to create atmosphere before guests have even entered the front door. A sidewalk should be more than just a pavement. It should make a statement as to who you are and what you value. A stunningly curving sidewalk can build the character and define the landscaping of your home. Create the look and feel you want with an original sidewalk design. A traditional sidewalk done in pavers can add simple styling. Pavers can become the framework for your garden landscaping giving it definition and purpose. An attractive two person walkway that curves to your front door softens your entrance, letting your guests know that you value their presence. Creating a narrower garden walkway surrounded by peaceful flowers that meanders through your yard can create a sense of calm and beauty as you approach the front door of your home. Using a unique curving design can also draw the eye of your guests on take them on a visual tour of your landscaping. Pavers generate a sense of grandeur and charm that cannot be created with plain concrete. They come in a variety of shapes and colors giving you more design options to craft the look and feel that you want for your home. Even a simple straight walkway from your driveway to the front door can become a grand entrance with the right pavers. The possibilities are endless as you begin choosing the width of the sidewalk, color of the pavers, shape of the pavers, and the curvature of the path to the door. A well-designed walkway can increase curb appeal, thus increasing the value of your home. A simple straight shot concrete sidewalk is not unique, adding nothing to the value. On the other hand, the same straight sidewalk done in pavers solidifies the overall look and feel, while simultaneously making a statement that you care for and maintain your home. 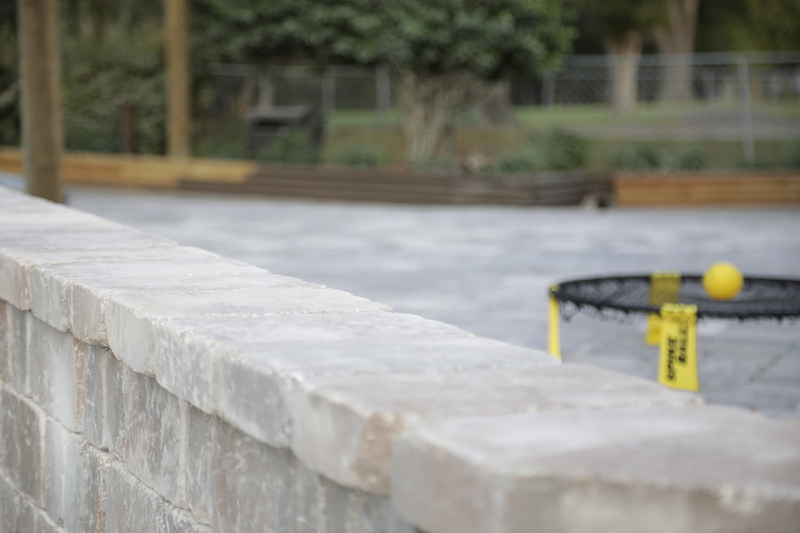 Contact First Coast Pavers today to find out more about the options available to you.